The ROSLEK company, primarily in the pharmaceutical sector, proposes an investment in flax cultivation and development in the Smolensk region, its Indian CEO said. 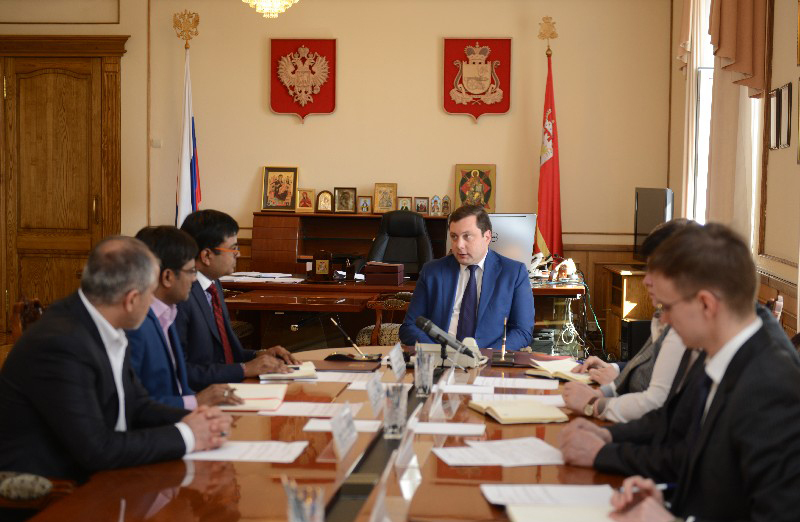 Krishan Kumar Goyal, CEO of the ROSLEK Company, and Alexey Ostrovsky, Governor of Smolensk Oblast, signed an agreement on April 12 for investment in flax cultivation and processing in the Russian province. ROSLEK was founded in 2004 by a group of Indian businessmen. The company’s primary focus is supply and maintenance of pharmaceutical equipment and marketing of drugs. For ROSLEK, participation in this “flaxen” project is a form of business diversification, which is also very profitable, said Goyal. Products made from flax and flax seed are in high demand in India, and conditions to successfully cultivate flax all exist in Smolensk, he said. “I am very pleased that you have chosen the Smolensk Oblast for this project. You have come to the region where, as a constituent entity of Russia, I can say that there is really no corruption, particularly in the agricultural sphere” said Ostrovsky, during the meeting with Indian entrepreneurs. During the Soviet era, the Smolensk region was a leader in the development of flax cultivation in the country. The region has necessary natural resources to ensure high yields; favourable soil and climate. The regional government has been working to revive the flax industry. A flax cluster has been created in the Vyazemsky District, where a joint Russian-Belgian plant has been set up for primary processing of flax. The governor said Smolensk has several laws that allow investors tax incentives and preferential rates for connections to gas, utilities and power grids. Ostrovsky said he would personally monitor the project, and get the documents processed. The governor revealed plans to build a flax growing and processing plant in Monastyrshchinsky District over an area surpassing 6,400 hectares. The plant’s total annual capacity will be two million tons of fibre. The investment would be 1.5 million dollars. Goyal said processed raw materials enjoy steady demand on the world market, including in India, which today buys raw flax from Belgium and the Netherlands. He was hopeful that various stages of this project; cultivation, primary processing, and deep processing of flax; would be completed in three years. “We hope we will develop fibre production and deep processing of flax together with the support of the governor and the regional administration. Our future plans include the exporting of these products,” Goyal said. An Indian businessman also proposed setting up machines and technological stations to lease out agricultural machinery for the flax project in the region. Based on materials of the Smolenskaya gazeta.